When a decision has been made to purchase residential or commercial real estate the prospective purchaser MUST seek advice on the Vendors Statement and the terms of the proposed contract. 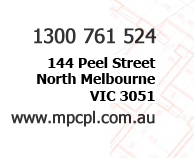 Melbourne Property Conveyancing P/L can help you understand what planning restrictions apply, what building regulations mean and how they may affect you. Melbourne Property Conveyancing P/L will draw your attention to any easements or encumbrances that affect the title. Once you are clear on all of the above Melbourne Property Conveyancing P/L may assist you in making a formal offer to purchase the property should you so desire. Melbourne Property Conveyancing P/L will review the proposed contract and Section 32 and obtain searches of the title and the necessary rates, planning and other certificates. Liaison with the proposed bank / financier / lender will be ongoing until such time as finance has been secured. Upon approval of financing Melbourne Property Conveyancing P/L will prepare the transfer of land and statement of adjustments prior to settlement. Melbourne Property Conveyancing P/L strongly recommends to its clients that they carry out a final inspection during the last week prior to settlement. It is advisable that the final inspection takes place as close to the settlement date as possible. As a purchaser you are entitled to the property being in the same condition at the final inspection as it was on the day of the purchase. The selling agent is the best person to contact in order to arrange the final inspection. 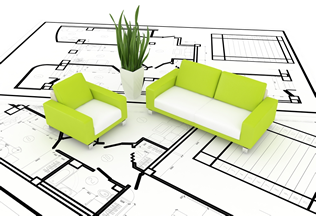 A settlement date is always specified in the contract of sale. The settlement day is the day a purchaser takes possession of the property. Melbourne Property Conveyancing P/L will arrange to bring together the seller's representatives and all other interested parties in order to "settle". The seller (vendor) and the buyer (purchaser) may attend settlement if they wish to do so. The keys to "your" property are usually held by the selling agent. The agent will be notified immediately after settlement to release the keys to the new owner. Melbourne Property Conveyancing P/L will advise the council, water authority and body corporate (where applicable) of the new ownership.